And have our bodies slaughtered by thy foes. Shall pitch a field when we are dead. It’s hard to pinpoint exactly when it started, but with Speaker John Boehner’s resignation announcement, there’s no doubt the revolution has begun. Perhaps it was the first time you bookmarked the Drudge Report. Or maybe, when at the Drudge Report, you said: “Who is this Breitbart?” Eric Cantor’s primary loss to Dave Brat was certainly a moment when the revolution was stirring and produced tangible results rather than just internet narrative. Regardless of when the revolution started, it’s clearly underway. First, what do I mean by revolution? Like with all revolutions, the old ways are being replaced. But this revolution has a twist: the revolution is trying to replace the old ways of doing business with even older, and more timeless ways. Namely, this revolution is a revolution against centralized power. It’s well-worth a read, as Mr. Adams is one of the [seemingly few] conservatives that pretty much ‘get’s it’. People outside of Washington, D.C., have a hard time appreciating the culture of the Beltway. The revolution is directed at this culture, but it isn’t well understood. The revolution sends people to Washington, and they get wobbly. And it’s not just confined to fiscal issues — notice how Justice David Souter went native once he got on the Court. Let’s get one thing straight. Fixing Washington requires someone who understands Washington. I’ve been inside the bureaucracies and know how the entrenched bureaucrats can hoodwink even the most zealous overseer. Utilizing someone who understands their language and has tangled with them will be the only way to make progress. It takes an outsider who understands the language and tricks. Not all outsiders need apply. This is where we disagree [where my qualifier (pretty much ‘get’s it’) comes in]. I think he’s correct that someone who understands Washington will be able to achieve a lot. However, no matter how competent that person is, he will not be able, ultimately, to make much headway. The Leftist poison has seeped into every single nook and cranny of the central government. The patient is so deeply saturated and riddled that it is terminal. No one man or group of men and women will ever have enough time to cure it, nor ever prevail against such an all-encompassing toxin. The patient is too far gone. 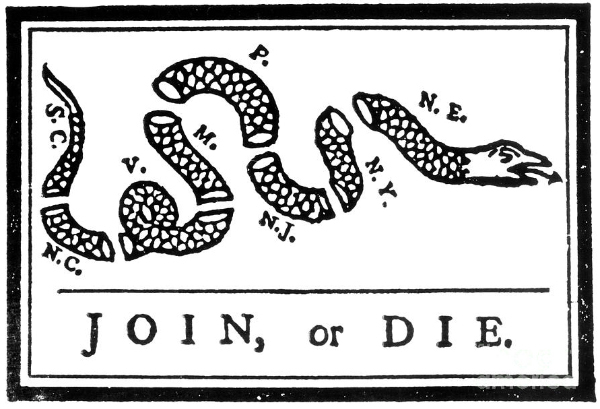 Our only hope lies in joining together in several of the Several States, taking over their governments, and using that confederation as a base for resisting the Tyrants in Washington and other severely poisoned states, building-up our strength, and then eventually launching an offensive to take back as much of America as possible. We are the Sovereignty who have been overthrown by Ideological Revolutionaries, who are in cahoots with grubby time-servers, rancid rent-seekers, debauched dandies, and putrid leeches. We have been declared Outlaws by Illegitimate Usurpers. We do not seek Revolution, but, rather, a Restoration of our God-given Rights as Free Men and Women under an Ordered Liberty, guided by the Hard-Won Wisdom of our Ancestors, devoted to ensuring that all that will endure for our Posterity.